Let’s all face it, a majority of the country’s health systems are not going to be selling, or monetizing, all of their medical office buildings (MOBs) to third-party investors anytime soon. 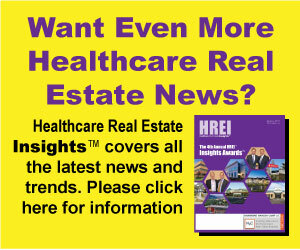 Yet, during an era when most hospital systems are trying to conserve every dollar of revenue and invest their precious capital into service lines and endeavors with strong returns, it is becomingly increasingly important for them to develop relationships with third-party capital partners, including those that invest in healthcare real estate (HRE) facilities. Ms. Hanfland was part of a panel discussion titled “A New Era of Third-Party Capital Partnerships” during the 2018 BOMA International MOB + HRE Conference, held May 9-11 in Houston. Health systems do not necessarily have to sell all – or even a large portion – of their non-core assets to take advantage of what third-party capital partners can provide, the panelists said. Rather, systems can turn to third-party capital providers in a more limited way, such as selling a few specific assets to receive an infusion of capital, or to right-size their portfolios of owned and leased properties. Providers can also selectively receive capital from, or form joint venture (JV) partnerships with, third parties to develop new outpatient projects, or to borrow capital for any number of endeavors instead of going to the bond markets. And it’s not always about money, either. Experienced HRE professionals can also offer advice and counsel, such as by helping systems to better understand and comply with various laws and policies concerning tenants. “It’s important that we use every tool in our toolbox and understand where we spend those limited dollars,” said Lance Mendiola, VP of facilities management and construction with San Antonio-based Christus Health. Ms. Hanfland noted that health systems need to look for the “right” partner these days, not just the largest or most capitalized.